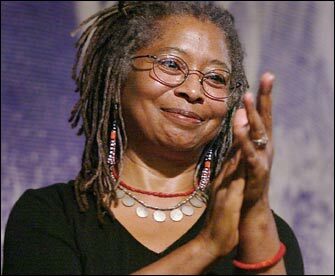 It’s been 25 years since the film version of Alice Walker’s “The Color Purple” opened to much controversy. Despite the controversy, the story is one that is still read, watched and celebrated in many forms. Walker’s story of a young woman, Celie, and the brutality she suffers at the hands of first her father and then husband, Mister, is epic, yet Celie finds love, a love present with her all the time. This story of redemption and love is amazing. It is certainly an up from slavery story in every sense, as Mister’s father was formerly enslaved, his son, first generation free. Similar to how formerly incarcerated persons hit the ground running trying to make up for lost time, Old Mister feels the same way about life projected onto his son. He tells his son he doesn’t have time to dream or fall in love; he doesn’t have time to waste as Black folks have to catch up economically, 400 years behind everyone else in accumulating wealth. 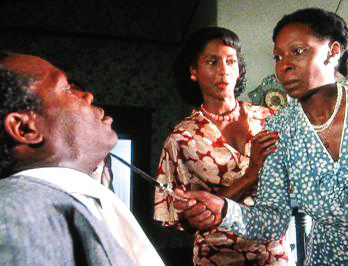 It is this tension and Mister or Albert’s inability to stand up to his father that makes him bitter, and he takes this anger out on his family, his first wife and then Celie. The brutality learned through conditioned response in slavery plays itself out here in the lives of both Mister and his son Harpo, who finds his true love in Sophia. The stage production is the best introduction to the story for those who do not know the world of “The Color Purple.” In it, Alice Walker’s work is given a visual and physical interpretation – Donald Byrd’s choreography and music and lyrics by Brenda Russell, Allee Willis, Stephen Bray, that is so electric second to the novel, and perhaps the biography, “Alice Walker: A Life,” by Evelyn C. White, it’s mighty hard to match. In “Alice Walker: A Life,” White shows us an Alice Walker whose characters in “The Color Purple” are first met. We meet Walker’s relatives who are the prototypes for Mister, Shug and Celie. There is a context and a history Walker draws from in her fiction and “The Color Purple,” given its immediacy, shows us how close to Africa we still are and how close we also are to slavery’s legacy as a people and as a nation, especially when one looks at what happens to Sophia, Harpo’s wife, a strong, independent Black woman who exercises what she thinks are her rights as a citizen and learns she has no rights where white rule is the law. Terrorism is not unknown to Black people. I am reading a book now, “Mare’s War,” by Tanita S. Davis, where Mare speaks about the racism in the ranks between white enlisted men and Black soldiers, between white Red Cross workers and Black enlisted women. Segregation was not even suspended during war time – crazy! And it drives people crazy, look at Gabriel in August Wilson’s “Fences” and look at Pa or Ol’ Mister in “The Color Purple.” To a certain extent, Pa, portrayed by D. Kevin Williams, is shell shocked by slavery and doesn’t recover, but in Walker’s tale there is hope, ‘cause at the end of the story, “Women are wearing the pants” (smile). The company song: “Miss Celie’s Pants” with Celie, Shug Avery, Sophia and the women is a foot tapping show stopper. Celie’s song, “I’m Here,” speaks to the change that has to happen so that the Black family and the Black community can heal. Mister hears her, especially the way Dayna Jarae Dantzler sings it. He is also afraid of the consequences, but so many characters in “The Color Purple” are afraid – yet they work through those conflicts with faith. Pam Trotter’s Sophia’s rendition of “Hell No!” with her sisters and the sweet duet, “Any Little Thing,” with Harpo are other moments in the story where one can measure the transformation, a personal transformation that brings the characters the joy they so deserve. And then there is the cast, those beautiful African American actors and actresses, to literally transport audiences to a place we are hesitant to go, yet trust them enough to take their hands and go on a journey that has many of us pulling out the tissues, holding our sides from laughter, smiling often at the sweet moments between Shug Avery and Celie, and Celie and her sister Nettie. The women carry this story and for the San Jose production, starting with Dayna Jarae Dantzler’s Celie, Traci Allen’s Nettie and Pam Trotter’s Shug, more capable hands couldn’t have been found and what an appropriate or fitting story for Thanksgiving weekend, Nov. 23-28, 2010. No, it isn’t a chick-play or musical, nor is it a male bashing free for all, which is how some people viewed the film without even seeing it or reading the book 25 years ago. I would advise folks to take heed and not do the same thing regarding Tyler Perry’s “For Colored Girls,” based on the book by Ntozake Shange. Why are the stories about Black dysfunction and pain getting a lot of play? Perhaps if we owned the medium of production, these tales would not be what gets the most play, no matter how true, but ultimately, “The Color Purple” is a great story and it is not just a Black story. It is a tragedy that happens in many communities; it’s just portrayed here in Black skin. This is also true with “For Colored Girls,” the “colored” was literal, Ntozake told me in a radio interview. She intended a multiracial cast, which is how she produced it initially. How it ended up with just Black women is an artistic choice of many subsequent directors. Redemption is certainly an evergreen story and the presence of Sankofa can be seen at every turn as each character, especially these women, learn to use the past to inform their future decisions – whether that is Celie realizing that most of her life was a response to someone’s definition of who she was and what she was capable of or Shug’s pain regarding her relationship to her father and Mister’s cowardice regarding their love. Sophia speaks of her love for Harpo, Mister’s eldest son, portrayed by Lee Edward Colston II and how tired she is of fighting. These three women reach back and grab the strength of their ancestors, also depicted symbolically in the scenes set in Africa where Nettie is working as a nanny for a Black missionary family who have adopted two children. At the end of the story when the cast sings the finale, “The Color Purple,” the audience is on its feet clapping and swaying. This production is fantastic and I saw the San Francisco production twice. I’d go see this one again if someone gave me a ticket (smile). Visit www.broadwaysanjose.com for tickets. The cast has varied backgrounds and the synergy between the characters is exciting. My favorites after the three principles are the chorus: Church Lady Doris, Church Lady Darlene and Church Lady Jarene: Nesha Ward, Virlinda Stanton, Deaun Parker. I also liked Allison Semmes’s Squeak; she is so funny with those skinny legs (smile). Girlfriend can sing too! In fact, the entire cast can blow: Edward C. Smith’s Mister among those who have really memorable numbers, along with the male ensemble numbers, especially the scene “Big Dog,” “Shug Avery is Coming to Town” and “African Homeland,” among others. I love the duet between Celie and Shug, “What about Love,” and the solos: Celie’s “Somebody Gonna Love You,” Sophia’s “The Color Purple,” the company’s “Miss Celie’s Pants” and, of course, Celie’s triumphant “I’m Here.” Pam Trotter’s “Hell No!” is a classic rendition of this favorite. It’s too bad with these traveling shows the only sound track is the initial Broadway one. The touring company certainly has much to recommend it and since I never saw the Broadway production, I want a copy of the soundtrack for the show I witnessed in San Jose and, like the show in San Francisco, it isn’t available. “Money really can’t buy happiness"
“Shug Avery is Coming to Town"